When You Pay WHOLESALE PRICE ! You can be on autoship for both Sealogix Ultra-Refined Fish Oil liquid and capsules, however, only one is required to receive autoship pricing on both. 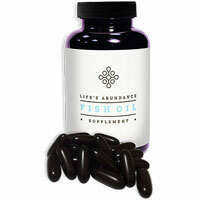 Ultra refined and ultra concentrated Life's Abundance Sealogix fish oil is a superior source of omega 3 fatty acids EPA/DHA the most important of all nutrients. It provides health benefits that are more important than other supplements.